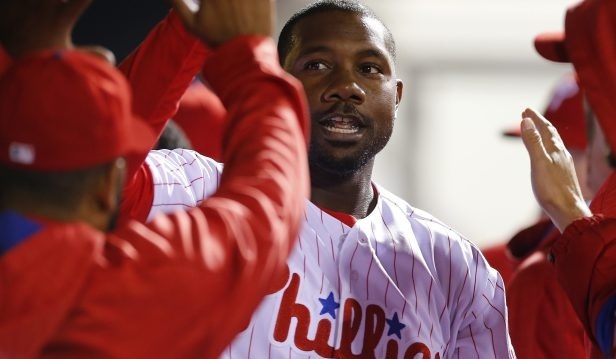 Ryan Howard hit a walk-off solo shot in the 11th inning last night to lift the Phillies past the Indians. Fresh off a walk-off win last night, the Phillies hope to continue their impressive play - entering tonight the Phillies have won each of their last four games and seven of their last eight. With a 13-10 record, the club is sitting three games over .500 for the first time since conclusion of the 2011 season. Prior to tonight's game, the Phillies placed RHP reliever Dalier Hinojosa on the 15-day DL with a right hand contusion and recalled RHP reliever Colton Murray from Lehigh Valley. Righty Jerad Eickhoff has been on an impressive run over his last eight starts, but he ran into some problems in his last outing against Milwaukee, surrendering seven runs over 5 1/3 innings in an 8-5 loss. He'll oppose Indians' right-hander Trevor Bauer (1-0, 4.76).